In Germany 38 percent of Germans belong to the 50-plus generation.Of the 15 million 50 to 65 year olds; only 39 percent still have paid employment. In Austria in only 39 percent of 55 to 64 year olds were employed, in France 38%, in Germany 52%, in Italy 34% in Turkey even 30% The EU average in this age segment was 45%. UK however with 57% has one the highest rates in EU (Eurostat LFS 2007). Aim of the project is to develop and test innovative instruments, which facilitate employability of older workers by removing existing obstacles (awareness in the society, new skills, and creative solutions) and making working attractive for the target group. By enhancing the sense of initiative and entrepreneurship we will create a pool as an e-market by using internet to sell goods and services. In order to support and organise these new entrepreuneurs we establish in each partner country (DE,AT,FR,IT,TR and UK) an virtuel bazaar (webspace) which overtakes the overall tasks (training, marketing, adminsitrative) for all entrepeneurs in collective, so they are embedded in a “collective entrepeneurship” instead of struggling individualy with similar problems. We address unemployed and retired people 50+ and encourage and train them to provide service and/or goods either with their already existing skills and experience like teachers, web designer, accountants, hairdresser, tailor, masseur, cook, elderly care services, gardener, or with their creative hobbies; photographing, painting, writing, sewing, woodworking. Aims and impact: Guidance and encouragement to improve older people´s employability, revalue and upgrade their competences and knowledge. Project will stimulate target group to learn a new qualification and/or to start their own e-business. Coaching and a training course as well a dialog platform to share good practice and advocate changes in attitudes of older people themselves and society are outputs of the project..
A major shift in attitudes to working at an older age on the part of employers, SME, costumer, society and older workers themselves. European dimension of understanding and learning from each other; good practices: Of the 55 to 64 year olds in United Kingdom 58 percent are in employment. Establishing a bazaar to support individual entrepeneurs so they are embedded in a “collective entrepeneurship” instead of struggling individualy with the similar problems and face probably some dead ends. Many older adults want a change of occupation, which enables them to develop new interests and express their changing values. Self employment, second careers are important features of later working life. This is driven by the desire for personal autonomy and the absence of suitable paid work. We want to motivate 50+ as settled and mature individuals with life and work experience to creativity and entrepreneurship and contribute to economic prosperity social and individual wellbeing. The lowest participation rates in LLL throughout the EU continue to be those of older workers. The project will encourage senior people not to drop out of working life and to upgrade their knowledge and even develop second or third carers. As a result of problems of unemployment and later life older people may be affected by social isolation. If people are making a meaningful contribution in the workplace, they are more willing to learn/refresh and widen their competences. With a current employment rate of 43.5%,there is still significant untapped potential among older workers - one of the largest target groups in EU. As a result of problems of unemployment and later life older people may be affected by social isolation and economical problems, particularly if they have not been able to be adequately covered by pensions or to accumulate savings to provide for retirement. “Bazaar” develops and tests innovative instruments to promote entrepreuneurship of 50+. 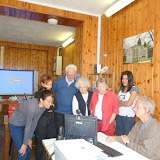 Our project mobilizes the full potential of older people, revalues and upgrades their know-how, skills and experience. 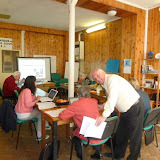 The training and the perspektive of self employment for second or third carers are start point of the project. Due to project`s main tool (e-marketing) the intergenerational learning with own children or grandchildren will be also possible and intented, since the young generation is more interested and involved in ICT issues and would help the target group and advice them. Older people are the target group of our project. This generation today is (and in future will be) good educated and skilled, agile and vital and has statistically to live more than 20 healthy years (assumed life expectancy). Our project addresses older people who are looking to make a meaningful contribution in the workplace, to start new careers and revalue their knowledge and competences. 2010 work program underlines promoting creativity and the growth of an entrepreneurial spirit. Overall mission: development of the EU as an advanced knowledge-based society, with sustainable economic development, more and better jobs and greater social cohesion. Bazaar aims at the training new skills, development of knowledge and, promotes entrepreneurship. The economical and social inputs due to employment and income perspective are the contributions of the project to the program. Older workers in European labour markets still represent one of the largest target groups for raising employment. With a current employment rate of 43.5% ,there is still significant untapped potential among older workers and their numbers will continue to grow during the coming decades. In Germany 38 percent of Germans belong to the 50-plus generation. Of the 15 million 50 to 65 year olds, only 39 percent still have paid employment. In Austria only 38,6 percent of 55 to 64 year olds were employed, in France 38,3% ,in Germany 51,5%, in Italy 33,8% in Turkey even 29,5% The EU average in this age segment was 44,7 percent. UK however with 57,4% has one the highest rates in EU (Eurostat LFS 2007). Older men and women today are better educated and generally believed to be healthier than their counterparts of a generation or more ago. Changes over time in the nature of work have important implications for the employment perspective of older people. The shift from a manufacturing dominated economy to one dominated by services has reduced physical work demands. UK has not only one of the highest rats of employment of older people in work; self employment is an important feature of later working life. 18% of over 50s in work are self-employed compared to 12% under 50. After pension age this rises to 25%. The attitudes to working at an older age are not only not supportive, many people and society in general mostly are not aware about these very potential. We want to motivate the target group 50+ as settled and mature individuals with life and work experience to creativity and entrepreneurship and contribute to economic prosperity as well as to social and individual wellbeing. If older people get appropriate help and encouragement in order to revalue and upgrade their competences and knowledge and gain new ones they could turn ideas into action and self employment would be an attractive approach for second or third careers. c) e-market tool for entrepreneurs by using internet to sell goods and services. e) Establishing a bazaar to support individual entrepeneurs so they are embedded in a “collective entrepeneurship” instead of struggling individualy with similar problems(to prevent dead ends). With an e-market people can start up their own business in order to offer their service to companies or consumers.. The entrepreneurs will be organised in form of a virtuel bazaar, a marketplace like the Grand Bazaar in Istanbul. In order to support and organise these new companies we establish in each country an virtuel bazaar which overtakes the overall tasks for all entrepeneurs in collective: a shared office administration, technological services, advertisement/marketing for the bazaar in general instead of individual companies, to address consumer/employers/SMEs who are supposed to buy the services or goods our entrepreneurs offer. Additional the bazaar will provide consulting services, training of entrepreneurs, coaching how to offer services, ensuring quality standards, costumer satisfaction etc..